First Tee Jitters? Simple Cure! Do you ever feel a bit jittery on the first tee? 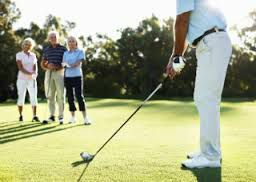 If we're honest with ourselves, most of us feel nervous on that first shot - especially if we are playing with golfers we don't know well, or golfers we do know who are very good players. Then, there's no doubt about it - the first few holes of a round can be stressful! 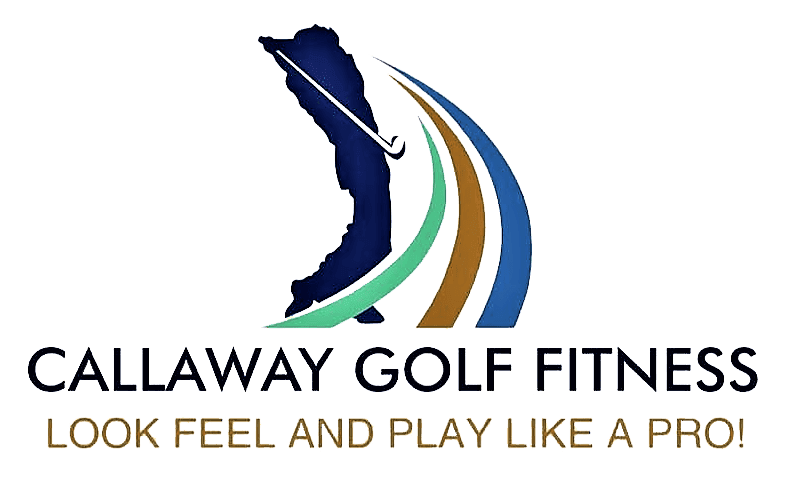 Experienced golfers know that the best way to eliminate the negative thoughts that bring the fearful emotions during the first few holes of a round is to replace them with positive ones. Make a plan. Instead of focusing your mind solely on your first tee shot try coming up with a plan for how you will play the first few holes. Most importantly think about the POSITIONS you want to put yourself in and what shots you will have to hit to get there. If your plan involves hitting 3 or 4 of the best shots of your career all in your first few holes it might be time to dial that plan back a little bit. Starting your round with high percentage plays that you know you can nail will do wonders for your confidence. Don't get suckered in. When you're lining up the first few approach shots of your round it's extremely easy to get suckered in and shoot right for the flag stick. The problem? Many times those pins have been set to punish players who hit anything less than a perfect shot. The solution? Aim for the middle of the green on your first 3 holes. If you get hot with your irons later in your round you can start shooting for those tough pins. Otherwise just focus on getting your ball on the green. Keep the Proper Perspective. Bottom line, or if/when all else fails, keep aBIG PICTURE perspective as to what you are really doing... playing a game! You are on a beautiful golf course about to tee up a ball and have FUN hitting a little ball ball down a beautiful fairway... nothing more, nothing less! Keep in mind that, even if you totally mess up and miss the ball completely, the worse thing that could happen would be... you missed the ball! Nobody died...the world did not come to and end! Take a big breath, and smile. Don't take yourself so seriously, and remind yourself that everything is going to be alright! Pretty soon, the jitters melt away - completely! These tips will help you replace the first hole jitters with the calm and confidence you need to get your round rolling in the right direction. Click reply and let me know your thoughts!